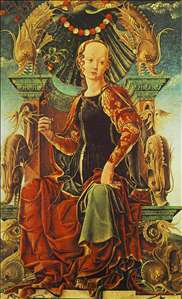 Italian painter, the first major artist of the School of Ferrara, where he was appointed court painter to the Estes in 1452. 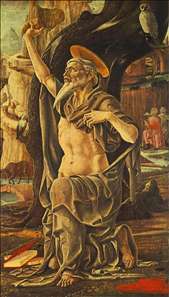 His sculptural figure style was derived in the first place from Mantegna, though its tortuous, metallic quality was a product of Tura s own feverish imagination. 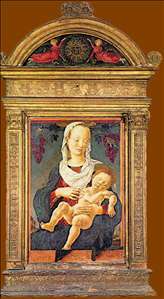 He also acquired a feeling for monumentality from Piero della Francesca, who was painting in Ferrara c. 1449. 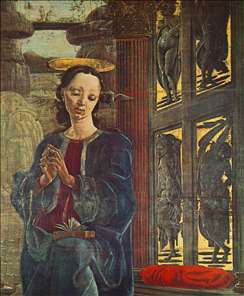 Tura was mainly a religious painter, his work including two huge shutters (1469) for the organ of Ferrara Cathedral, now in the Museo del Duomo; they represent The Annunciation and St George and the Princess. 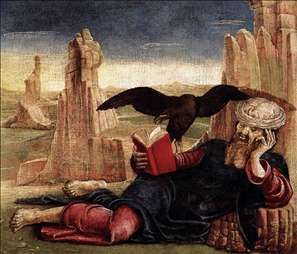 In Ferrara he provided paintings for the cathedral (1458), the Biblioteca del Pico (1465-67), the Sacrati Chapel (1468), and the Belriguardo Chapel (1472). 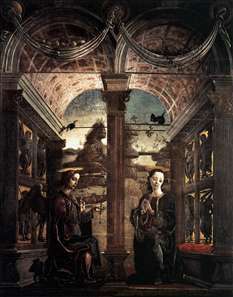 Good examples of his work on a smaller scale are in the National Gallery, London. 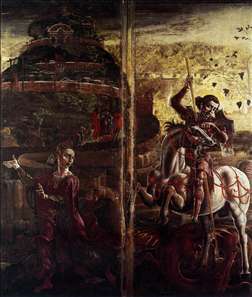 Tura was an important influence on the other two major painters of the 15th-century Ferrarese School Cossa and Roberti. 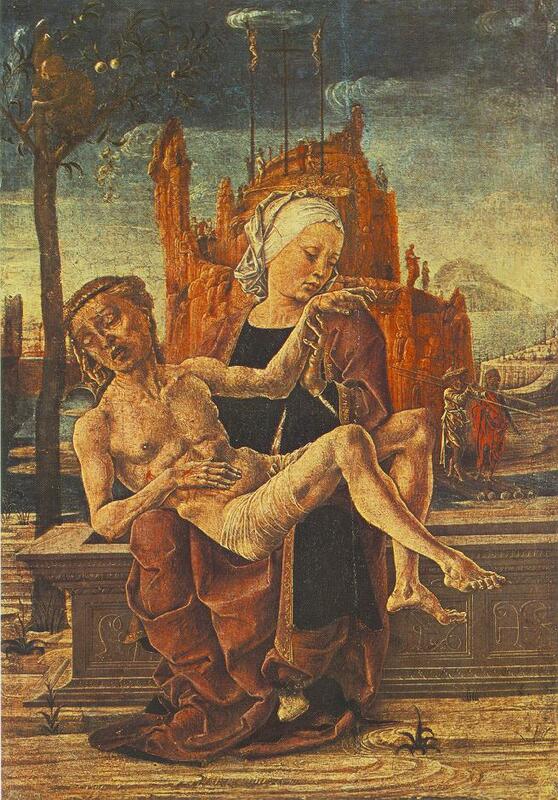 The latter replaced him as court painter in 1486 and Tura died poor. 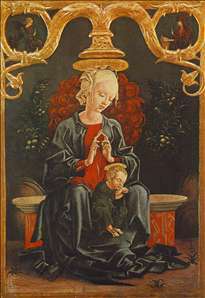 See more details about "Madonna and Child in a Garden"
See more details about "The Madonna of the Zodiac"
See more details about "St George and the Princess"
See more details about "Saint Jerome"
See more details about "The Spring"
See more details about "St John the Evangelist on Patmos"